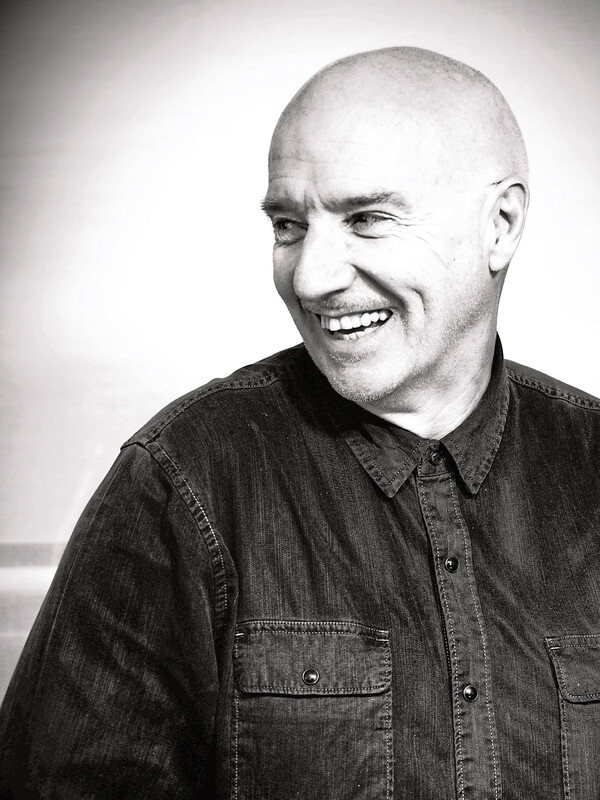 It’s appropriate that Scottish music legend Midge Ure has chosen to kick off his latest UK tour in Inverness, for the city helped shape his career and taught him how to cope with life on the road. Entitled Songs, Questions and Answers, the tour starts in Inverness on tonight, Thursday March 7, and plays Aberdeen’s Lemon Tree on March 11. 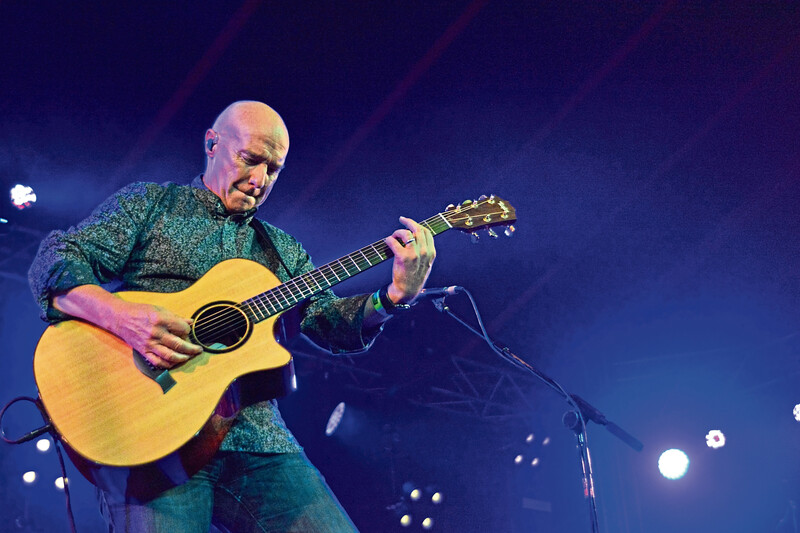 “Forty-one years ago I’d regularly get into the Transit van and spend five-and-a-half hours driving from Glasgow to Inverness up the old A9 to play at the Caledonian Hotel where we’d perform two 45-minute slots, then pack everything back into the van and drive back to Glasgow. “The band, Salvation, also played the Cameron Boys Club regularly. “It was good fun, and my apprenticeship really. “People avoid doing that these days as they can go on TV, do a bit of karaoke and become a big, sensational star. Midge, now regarded as a Scottish musical legend, was no overnight success, and spent years honing his skills. “When you start out, it’s not an easy ride. “It’s a lot of slog, travelling and bits are boring, but you go through all that, just to get to the stage to do your thing,” said Midge. “But when you’re starting out there is no road map; you just go out as much as you possibly can to learn your craft; learn how it all works and learn how to work with an audience. “It can be tough, especially if you are playing a gig where nobody’s interested. “People talk across you while they wait for other bands – to them you are just making a noise while they wait for the band they came to see,” said Midge, who has lived in Bath for the past 20 years. His days of playing to small crowds who will happily trade blows are behind him, but he still feels like he is learning. He said: “You wake up in the morning and there’s new technology for recording or different platforms for getting your music out to people, or new ways of getting to interact with other people. “Things change at such a rapid rate that even a techno head like me is getting left behind,” said Midge, who has spent much of this year in the studio. “Most people write songs in their spare time then go to the studio and record the finished song,” he explained. “But I go to the studio with an idea then start building from there, constantly adding bits or taking things off and eventually there’s a piece of music there. Over the years he’s played with Ultravox and Thin Lizzy; enjoyed a solo career; played with orchestras and of course there’s his involvement with Band Aid which means there’s no shortage of topics for audience questions. “When people do feel brave enough to ask a question, the questions they ask can be random to say the least,” he said. “You’ll have anything from a question about which synthesiser was used on a B-track in 1981 to ones about why I made an orchestral album or joined Thin Lizzy. “So for that reason, there is no set – every show will be totally different because it’s the questions I’m asked that will largely dictate what I’m going to play. Ahead of the show, audiences can send questions to Midge via Twitter or, hopefully, via text on the night. “Normally I’m at war with people in the audience who sit looking at their mobile phones,” said Midge. “What they don’t realise is that, from the stage, they light up like a beacon. “If they’re still on the phone five songs in I’ll call them out and say something like, ‘I hope my singing isn’t stopping you checking your Facebook status’. “But this time I’m fine about people using their mobile phone, so they can text me a question. Opening the show for Midge will be Cole Stacey and Joseph O’Keefe, who perform in their own right and as the India Electric Company. “They really are a fantastic, multi-talented act that make an amazing cacophony of sound,” said Midge. 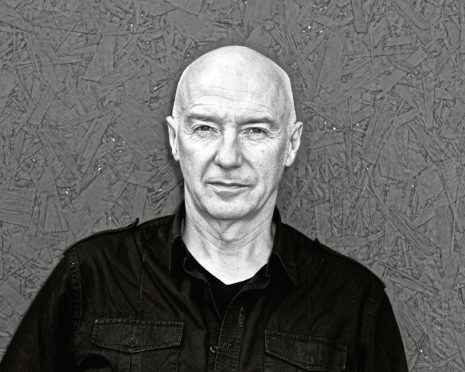 Midge Ure: Songs, Questions and Answers plays Eden Court Theatre, Inverness, tonight, Thursday March 7, (01463 234234) and The Lemon Tree, Aberdeen, on Monday March 11 (01224 641122).